People in Europe have massively rejected GMOs, and our governments have started to ban their cultivation, but agro­chemical companies have cooked up a new way to get GMOs onto the European market. They are claiming that GMOs which are produced through a range of new techniques ­aren’t in fact GMOs. Don’t let unlabelled or untested GMOs in through the back door. If the companies get their way, GM plants and animals could soon end up on our fields and on our dinner table without any safety testing or labelling – and without any way to ban them. And we wouldn’t even know! European law requires that GMOs undergo a detailed assessment of health and environmental risks, as well as labelling, to allow consumer choice. The European Commission said that it would publish a legal opinion to tell national governments what’s in and what’s out of EU GMO law. Internal documents obtained under freedom of information rules reveal that the Commission was set to confirm that the genetically modified organisms (GMOs) produced through new techniques referred to as gene-editing are covered by the law. This means that they would need to undergo safety testing and labelling before being placed on the market. Why then didn’t the European Commission publish the opinion as planned? Well, it seems that not only the GMO companies, but also the US government, lobbied heavily so that the Commission wouldn’t classify gene-edited plants and animals as GMOs. These new GMOs are largely unregulated in the US, which is why a letter from the US warned of “potentially significant trade disruptions” from the application of EU GMO law. It suggests that the EU should ignore its health and environmental safeguards to pave the way for a new transatlantic trade agreement (TTIP). The next round of TTIP negotiations starts on 25 April 2016 in New York. 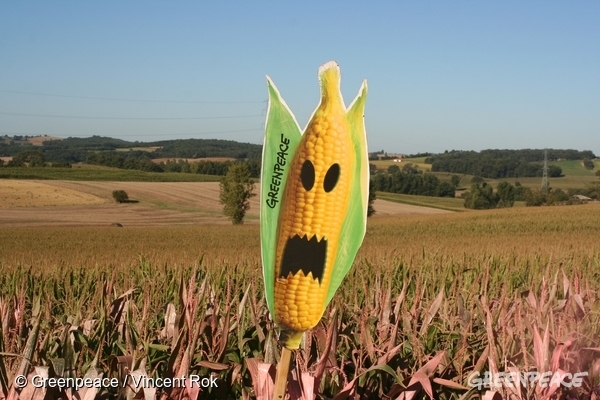 EU GMO laws are designed to protect our health and environment. They shouldn’t be sidelined for the sake of TTIP and industry profits. Tell European leaders to act now – sign the petition. Franziska Achterberg is the food policy director for Greenpeace EU.